Manual transmissions. And diesel engines. Usually, they were available together. Today, it’s impossible to find a new full-sized truck with a manual transmission. 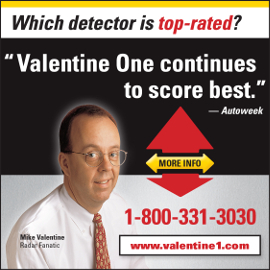 Regardless of engine – and brand – they are all automatic-only. But there is one half-ton truck which still offers a diesel engine. There may be some competition later this year or early next year – when Ford is expected to offer a diesel engine option in the F-150 pick-up. 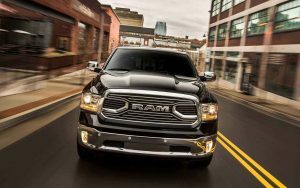 But – for now – if you want the low-down torque, pulling power – and higher mileage – that a diesel engine delivers, the Ram’s got the market cornered. The Ram 1500 is FiatChrysler’s full-size/half-ton pick-up truck. 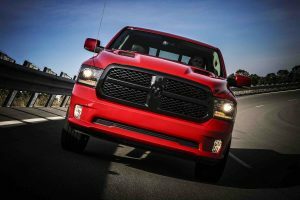 It used to be sold under the Dodge label but FiatChrysler spun-off Ram as a separate, trucks-only brand a couple of years ago. It competes with other full-size/half-ton trucks like the Chevy Silverado 1500 and the Ford F-150, as well as import brand half-ton trucks such as the Toyota Tundra and Nissan Titan. 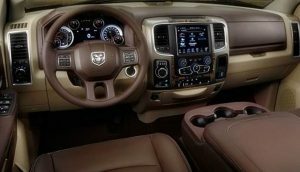 At the moment, the Ram is the only half-ton truck available with a turbodiesel engine. The others are powered by gas engines – at least for the moment. 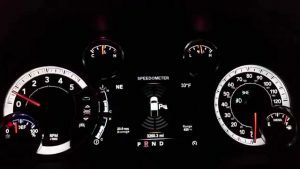 The Ram’s diesel engine is actually a package that includes an upgraded cooling system, heavy duty electrical system, a stouter 3.55 rear axle ratio and a beefed-up automatic transmission, designed to handle this engine’s 420 ft.-lbs. of torque. All of that adds $4,495 to the price of any new Ram 1500 -which starts at $27,095 for the base Tradesman trim with 2WD. Note that you don’t have to buy a higher trim (or even 4WD) to be able to order the diesel. There’s a new ultra-luxury Tungsten edition – as in a notch above Platinum. It includes Tungsten-chrome exterior trim, body-colored running boards, the RAM name stamped into the tailgate, “satin carbon” wheels and – inside – frost beige leather seats with indigo blue accents, a swanky suede headliner and the latest generation of FiatChrysler’s UConnect system with smartphone-emulating pinch/zoom 8.4 inch LCD touchscreen. Also new is a Harvest trim – which includes tubular side steps, tow hooks, all-terrain tires and its own color palette. A back-up camera system is also standard in all 1500 trims. More range on a full tank (754 miles) than a Prius hybrid. 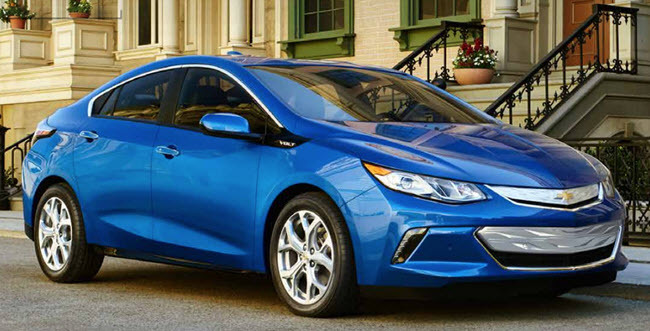 Can pull the equivalent of almost three Priuses – 9,210 lbs. – without the appetite of a V8. Quicker than a Prius hybrid (8.7 seconds to 60). 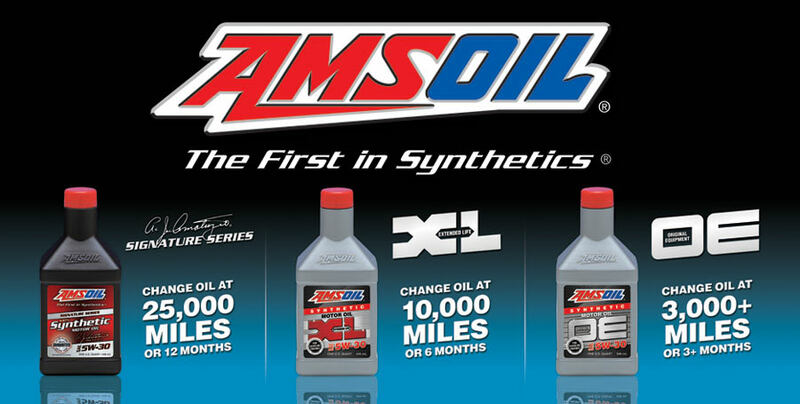 Diesel fuel now costs more than gas – eating into the economy advantage of the diesel engine. 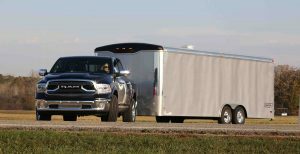 V8 Ram tows more – 10,620 lbs. vs. 9,210 for the diesel – and costs less to buy ($1,450). 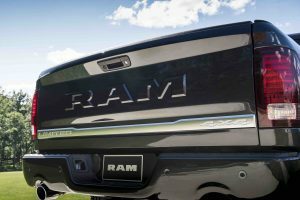 A major update is on deck for the 2019 model year – so this year’s Ram is already almost yesterday’s Ram. The Ram’s optional 3.0 liter turbodiesel falls in between the standard 3.6 liter gas V6 and the top-of-the-line 5.7 liter gas V8. It hasn’t got as much horsepower as the 3.6 liter V6 (305 hp. vs. 240 for the diesel) but its torque (420 ft. lbs. vs. 269 ft. lbs for the V6) is tremendous. It makes more torque, in fact, than the top-of-the-line 5.7 liter Hemi V8 produces (410 ft.-lbs.) and it produces all that torque at just 2,000 RPM vs. 3,950 RPM for the big V8. This makes it ideal for grunt work, including towing. At which it almost matches the capability of the V8. And it is capable of 29 MPG on the highway – spectacular mileage for a half-ton truck. Especially one that can pull as much as this one can. The V8 Ram 1500 can tow a bit more – and of course, it’s quicker. But it also needs to be refueled more often (22 MPG on the highway). The V6, meanwhile, can’t tow nearly as much (7,600 lbs. max) and uses significantly more fuel (18 city, 25 highway). While the diesel option is expensive, you get more than just the engine. 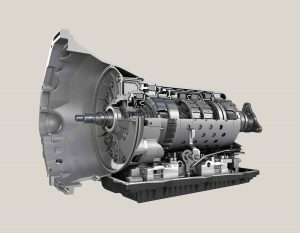 You also get a heavier-duty version of the eight-speed automatic, upgraded cooling and charging systems and a stouter 3.55 rear axle ratio (a 3.21 axle is standard with the gas V6). This can be upgraded to a 3.92 ratio for even more low-end grunt. Range, though, is what this package is really all about. With the optionally available 32 gallon gas tank (26 gallons is standard) this half-ton truck can go more than 900 miles without pause. You will almost certainly need to pee before the truck needs fuel. 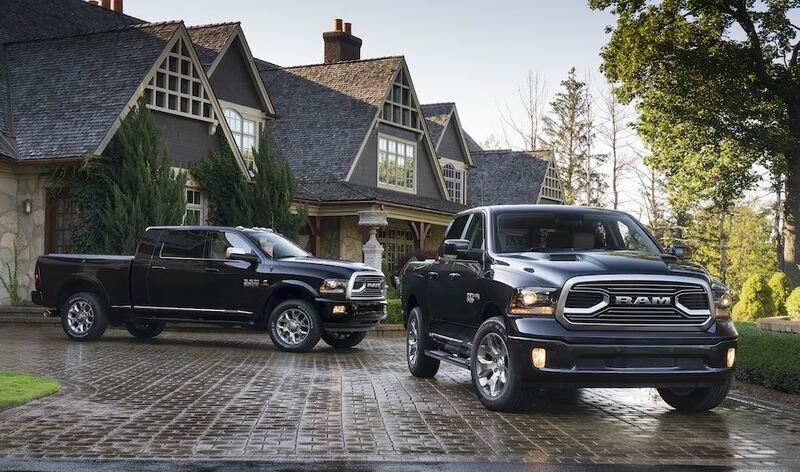 Even with the standard 26 gallon tank, the Ram diesel goes almost 200 miles farther than a Prius hybrid – no joke. The fuel-sippy Toyota’s highway range is just 565 miles. And while the Ram can pull the equivalent of several Priuses, the Prius can’t pull . . . anything. 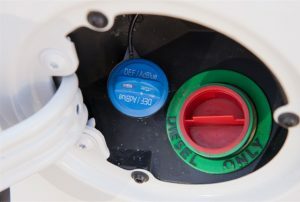 You will, however, have to add DEF – Diesel Exhaust Fluid – for which there is a separate approximately 8 gallon tank. Full up, the DEF should last about 10,000 miles, according to Ram. The stuff gets sprayed into the hot exhaust stream to catalytically treat the exhaust, in order to make the diesel Uncle-compliant and thus legal to sell. 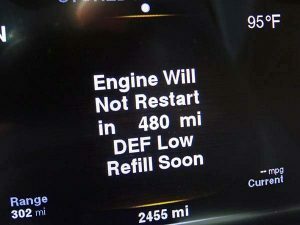 And because it is an emissions control thing, the Ram has a computer nanny/ninny that will hector and pester you if the DEF tank is running low – and won’t stop until you refill. And if you don’t refill (cue OJ voice) look out! 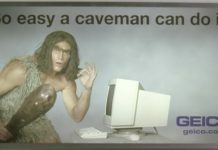 The computer nanny/ninny will progressively gimp the engine until the Ram is no longer driveable. The good news is the DEF isn’t expensive (you can buy it at Wal Mart, no need to spend dealer marked-up bucks) and it’s not much of a hassle to top off periodically. The key thing is to remember to do it – before the nanny/ninny has to remind you. The only thing that can match the swell of immediate power a diesel delivers is a big V8. But big V8s have big appetites. The Ram’s turbodiesel has a moderate one. It uses about as much fuel as a current mid-sized passenger sedan, while giving its owner cut-above capabilities as far pulling and hauling. There’s also the pleasant intangible of that diesel burble; it just goes with a big truck. And as big as it is, the Ram is easy to drive. 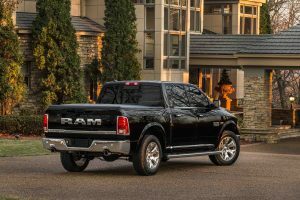 Despite its heavy-duty solid rear axle and the fact that the current Ram is the oldest design of the Big Three 1500s, this truck still rides better than some cars – especially with the optional air suspension. Body on frame construction is the ticket for isolating outside unpleasantness and damping bumps and such. It’s only when you’re trying to slip into a curbside parking spot that you have to grapple with the size of the thing. Note that there is about a five foot difference in turning circle – 39.3 feet vs. 45.5 feet – between the least-long version of the Ram (the 120.5 inch wheelbase regular cab/short bed) and the longest (the 140.5 inch wheelbase a crew cab long bed). All versions have at least 9 inches of ground clearance, too – so you’re sitting pretty high up. 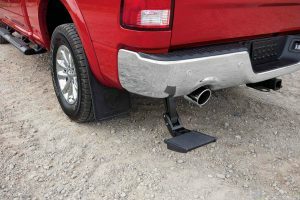 It would be neat if Ram offered a Jake Brake with this thing – it’s a system found in big rigs that uses engine compression to brake the rig, which helps save the brakes and is also very helpful when towing, especially on steep, long downhills – with the side benefit being a really macho sound as it does so. But no dice on that. 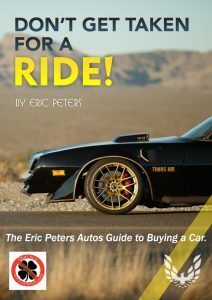 What you do get – in addition to all the pulling power – is easygoing power. This is probably the most everyday-driver meaningful difference with the diesel vs. either the base gas V6 or the top-of-the-line Hemi V8. The gas V6 – despite its impressive horsepower number – is torque-shy (just 269 ft.-lbs.) for this sort of duty. 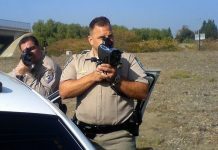 This engine is fundamentally a passenger car engine and while it’s fine for a light-duty situation, it’s not the ticket for any kind of real work. 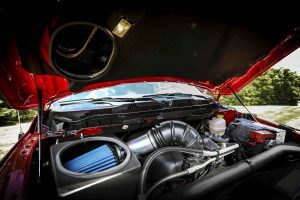 Hemi makes plenty of power – and its torque output is also tremendous – but it’s less immediately tremendous than the diesel’s. The entirety of its 420 ft.-lbs. is right there – right now. The lightest pressure on the accelerator pedal summons what feels like (cue Emperor Palpatine/Darth Sidious) unlimited power. This includes off-the-line and mid-range power. 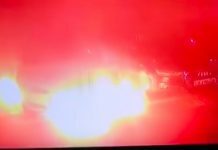 What you’ve got here is the mechanical-combustion equivalent of a guy who is capable of bench-pressing 500 pounds lifting 200. Though it hasn’t been updated in awhile, the Ram’s two-thirds Kenworth styling has held up well. It looks like a truck ought to. 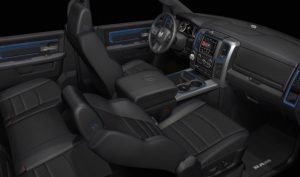 There are literally almost 80 possible bed/cab/trim configurations to choose from – including the new Tungsten edition, which is Ram’s one-upping of other brands’ Platinum (and King Ranch, etc.) editions. But the Ram has always been a but more muscle-shirted than the other 1500s. It’s an intimidator – and no bones about it. Like the other 1500s, the Ram is still available in regular cab (two-door) as well as quad and crew cab versions. You can choose from a short (5.7 foot), standard (6.4 foot) or eight-foot long bed. 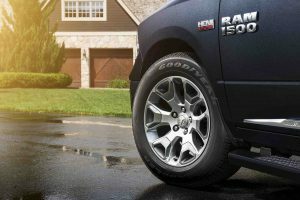 There are some restrictions as far as which combinations of these you can select, but Ram (like Chevy and Ford) gives you more possible combos than the import-brand trucks do. All trims except the Express come standard with a sprayed-in bedliner and a Class IV hitch. The Ram does not have a column shifter. Or a console-mounted shifter, either. 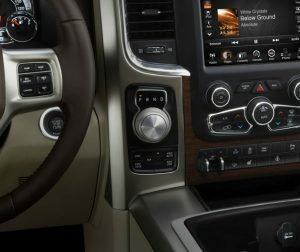 Borrowing an idea from high-end cars, the Ram’s ranges are selected via a rotary knob mounted to the right of the steering wheel. This gets the shifter out of the way of other things, which is sound policy. The 4WD ranges (if so equipped) are also out of the way, but easily reached, via push buttons just underneath the rotary knob. 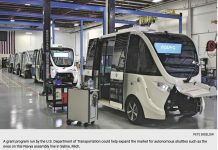 The downside – at least, potentially – is this all dependent upon sensors and actuators now. There’s no direct, mechanical connection between that knob – and those buttons – and the associated hardware. 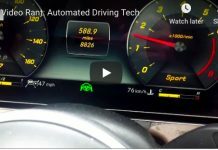 What happens is a signal is sent via wire to a computer which controls actuator, which in turn control the hardware. This is all fine when new – and under warranty. But eight or ten years from now, when you’re out in the field . . . and out of warranty. Arguably, a truck ought to have as many direct/mechanical controls as possible. Cables connected to things. Because cables are rugged and simple – and easily fixed in the field. But trucks – even manly 1500s like this Ram – increasingly emphasize “tech” as much as toughness. The influence of metrosexuality is being felt everywhere. 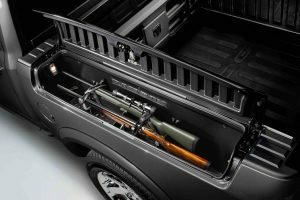 The Ram still offers the Ram Box storage system, which turns the bed walls into the perfect place to stow rifles and other manly equipment. They are insulated, lighted and weather-tight. You can also order scooped hoods – and the scoops actually scoop. And there’s the muscle truck version of the Ram. Two of them, actually. The Sport and the Night, each with its own menacing styling riff. 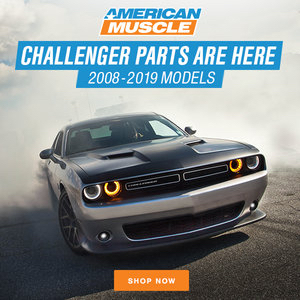 R/T exterior badging themed on the Challenger and Charge muscle cars is also available – and since you’re packing the same Hmi V8 under the hood, you’ve got basically the same thing, just better in the mud. The best thing about the diesel Ram might just be that you don’t have to buy one of the more expensive trims before you can buy the diesel engine. 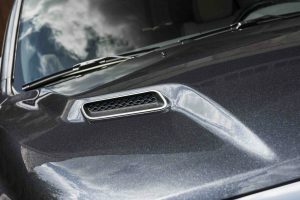 It’s fairly common for car companies to limit desirable options to the costlier trims. This one’s not – which people who are looking for a work truck are sure to appreciate. Better-than-V6 mileage with almost V8 towing/hauling capability – and more range on a tank than a Prius hybrid. No one else has anything to match it. 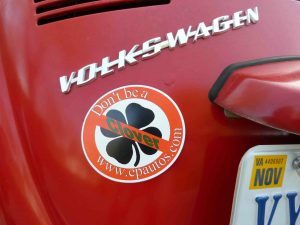 Hey Eric: Why do diesel guys keep their engines running while getting fuel? Always wanted to understand this. Is it for the same reason hoodlums keep their damn stereo full blast while getting gas too? Probably. Also, what purpose at all do the roof lights on pickup trucks serve? Just entry points for water and rust is all I can see. Thanks. I haven’t noticed this; maybe it’s a local thing? On the roof lights – yes, definitely. No matter how well sealed, seals dry out and shrink… and then they leak. 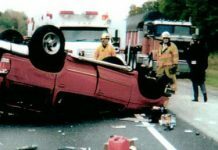 Ask a former T-top owner! I think eventually the hellcat version will find itself in the ram pick up line. 707hp just cause dis Murica! Yes, but hopefully with another 100 or so hp…. to make up for the Ram’s weight, you see! Thats the demon trim, 840hp! 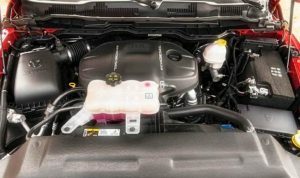 The second generation Ecodiesel due out in the Wrangler and (likely) Grand Cherokee, in addition to Ram, is rated slightly higher in power. 260 hp and 442 lb/ft torque. In addition to the Ford V6 diesel, Chevy is planning an I-6 Duramax for the 1500, though it’ll likely be trim limited. For example, using the Colorado build tool, the only way to get the diesel in an extended cab/long bed configuration is to jump up to the ZR2 trim. Other than that it’s only available in crew cab configurations, and not at all in base or WT trims. I expect the 1500 to be similar. I had a diesel Colorado (before GM cut me off) and it was an interesting, appealing – and expensive – truck. GM limits the diesel engine to the high-trim versions, as you note. Expect to spend close to $40k on one of these – and it’s only a mid-sized truck! True. At that price I would consider jumping up to the 1500. Plus there are often more rebates on the bigger trucks. Seems like the mid size rigs go closer to msrp. I’ve been waiting on the Jeep pickup, as it combines my life long desire for a Wrangler with the utility of a truck. The leaked specs suggest that it will be reasonably capable (6500# tow… less than the GM twins but more than the Taco). But with FCAs Marchionne quoted as saying the Jeep truck will be “expensive; intentionally so,” a loaded Rubicon already pushing $55,000, and the diesel expected to be a $4-5000 option, that dream will probably die. Doesn’t this generation of Rams come with IRS in 1500 versions?